A great tour. Good pace and interesting. Both guides were good. 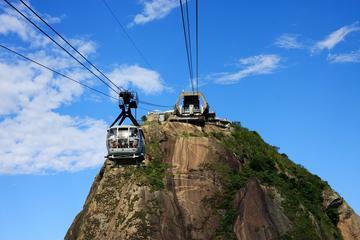 Loved both the cog train up to Christ the redeemer and cable car to the sugar loaf. Would definitely recommend the tour. This was a great experience! Guides were on time and travelling was very comfortable. Able to see lots of beautiful sites in Rio. Also amazing views of the city of Rio from both Sugar loaf and Corcovado for comparison. One Tip: Bring appropriate warm clothes...its cold up at Corcovado!. Food was really good. Only draw back is the wireless headsets that we were given for the information about the sites which at times had static or just no sound at all. It was ok only. It took hours to wait for the bus and we took round for 3 times i think. I was expecting that escardia selaron, santa teresa will be included. And the due to long hours in Ipanema after lunch, we had a few hours only in christ the redeemer which i expect that we will spend 45-1 hour there. A must do in Rio. Easy pick up from your hotel. Plenty of time to take in the views and take photographs. Tour guide changed over at lunchtime and both were excellent. Would recommend including lunch option as that in itself was a great experience. Stop at the market place was a bit edgy and I feel it would be good if, at the start of the tour there was a short talk on safety. We opted for a train tour to Corcovado and thought it was excellent. This tour was great and long we chose the full day option. 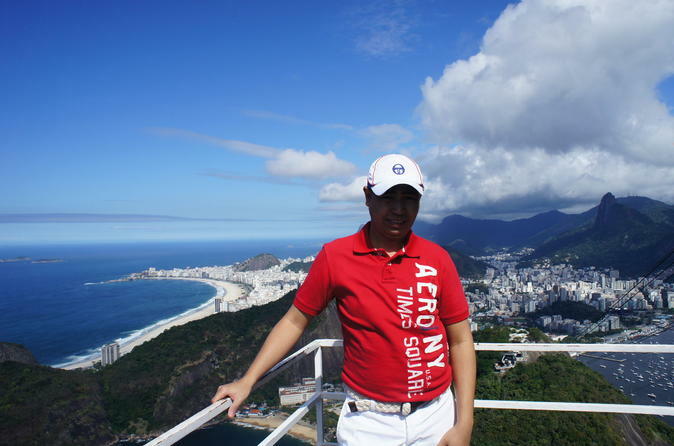 Sugar Loaf Mountain was fantastic and that first sight of Christ the Redeemer is breathtaking. There are two things I would change: the pick up was late. We were told we would be picked up at 8am, but it was after 9am. Second, included in this tour is an unnecessary 10 minute stop at the St Sebastian cathedral. It doesnt really fit in with the theme of the rest of the tour and was rushed. Otherwise, great tour and the lunch in Ipanema was fantastic! Another wonderful tour. The train ride up the mountain was great. To be at one of the most famous things to see in Rio, was awesome. I do not want to recommend this trip to anyone else. The organization of this tour is not so bad. And the guide were so kind, sincere and enthusiastic to explain many things. However, they are so old to meet and satisfy the request of some people including me. You had better use Uber than this tour.